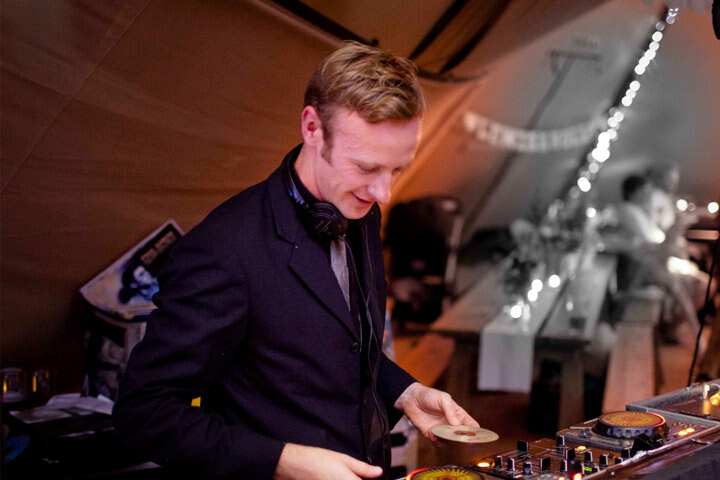 Wedding DJs, they can make or break a wedding! A harsh statement? well if you are into your music the last thing your going to want is a middle aged man playing oops up side your head, talking over the music all night! A Good DJ can keep your guests partying all night long, while a bad one will have them sitting down staring at their watches! 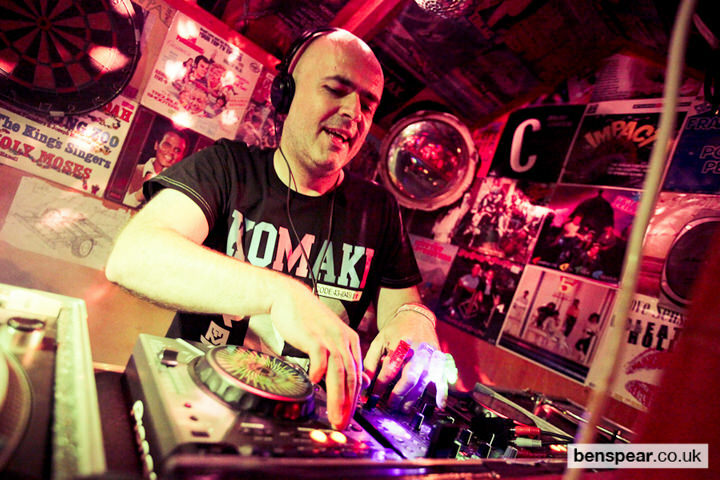 I have spent a lot of my life time in nightclubs, so personally when I got married the DJ was an important aspect of our day, getting married in Ibiza for me wasn’t just about the amazing scenery and sunshine, it was the whole clubbing culture that went along with it. 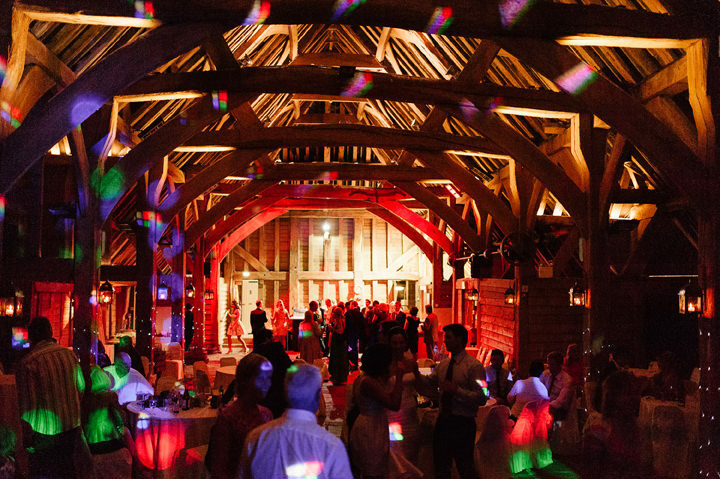 If you share a love of music then you are going to be looking for something a bit different for your wedding day………a DJ that will guarantee a rocking night and a party atmosphere. 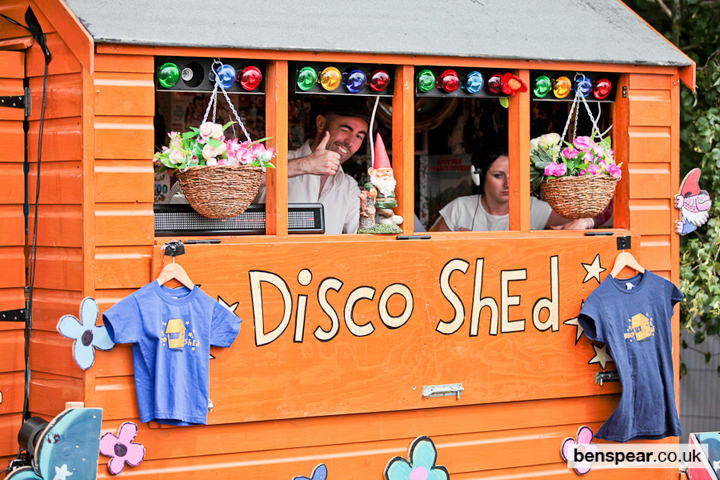 So today I would like to introduce you to Disco Wed, not only are they amazing DJs who have played all the major music festivals, but they come with their own unique disco shed……….Yes a shed! 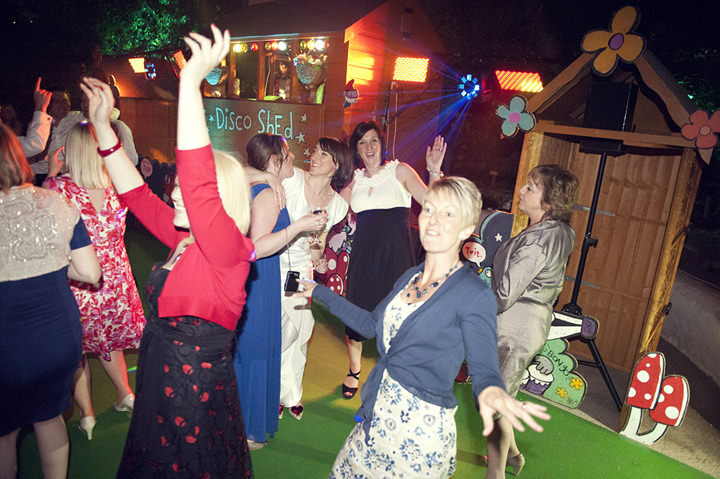 Weather your wedding is indoors or outdoors, Disco Wed have a shed and a sound system to suit your every need! There aren’t that many wedding DJ outfits that surprise or impress me these days but Paddy and his team of amazing DJs have done just that! 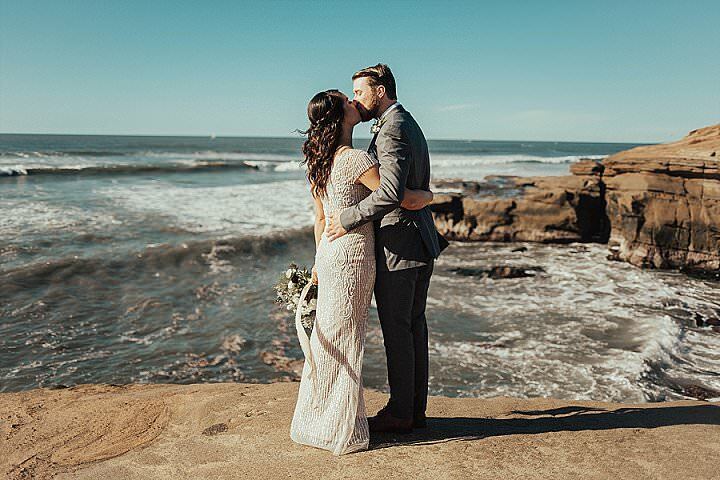 I asked Paddy a few questions about the shed, his background and his wedding services, so I’ll pass the Blog over to him…………. 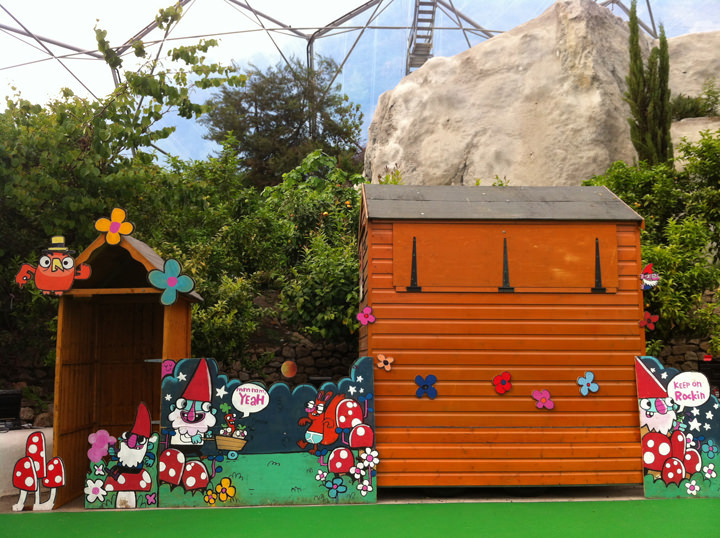 So the Disco Shed started up properly in 2006, and Disco Wed launched formally in 2011. Where are you based/Where do you cover? 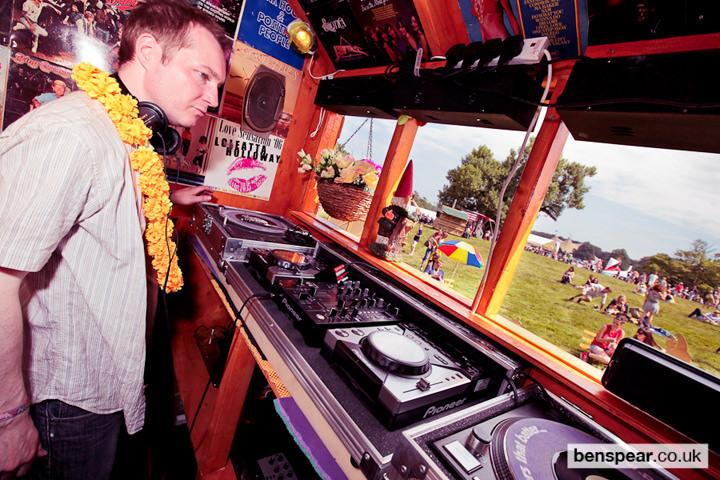 I’m based in (sunny) Saffron Walden, but have DJs in London, Oxford, Brighton, Cardiff and Manchester, and we’ll travel anywhere. 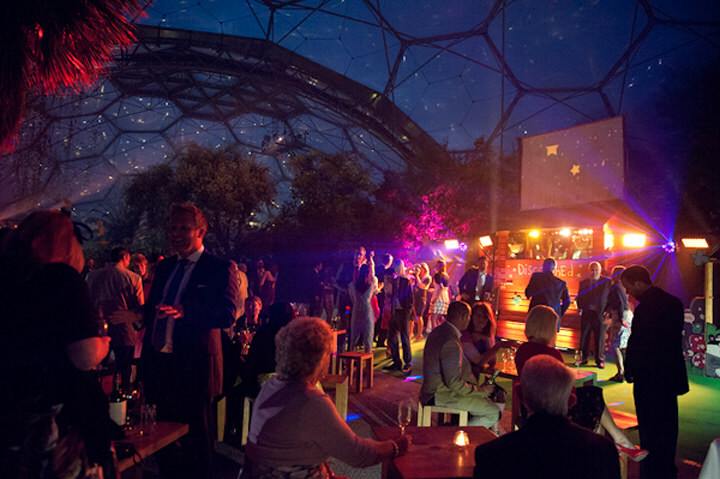 But because the shed wasn’t really set-up for events like weddings, I wanted to set-up something specifically for people getting married which still called upon the unique party vibe that the shed is renowned for – hence Disco Wed! 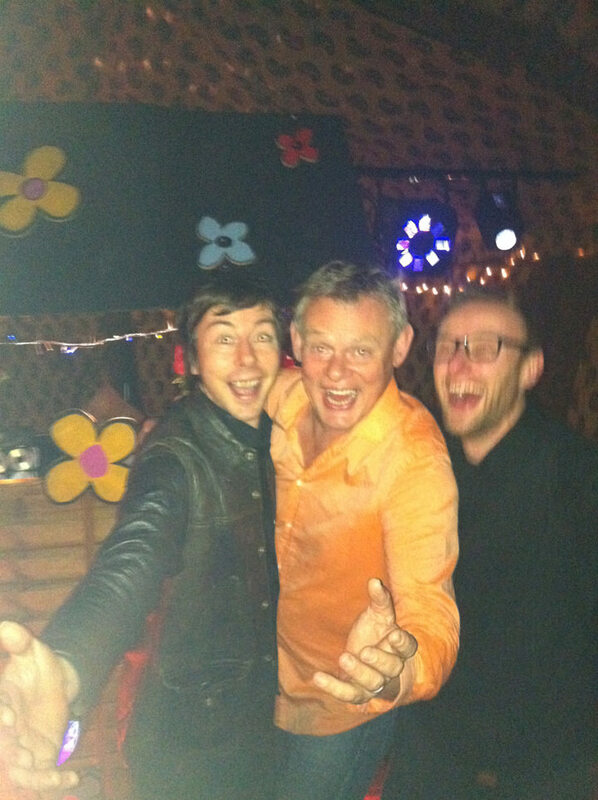 Ironically, I couldn’t tell you specifically what made me start the Disco Shed – all I know is that I apparently came up with the idea during my friend Aidan’s legendary house-warming party, and the first thing I knew of it was when we’d been booked for 2 festivals! 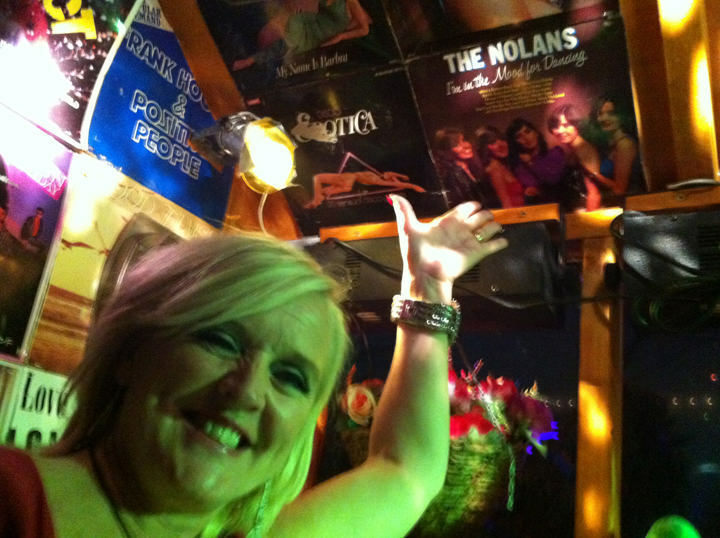 It was a really good party… But amazingly we made it happen, and it’s become so popular over the years that I now work on that and Disco Wed full time! 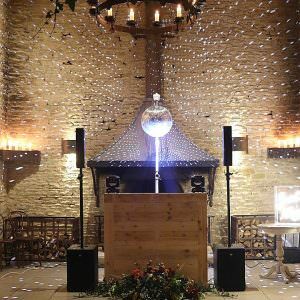 Ok, so we’re ‘proper’ DJs rather than traditional wedding DJs – by which we mean that we mix everything seamlessly and don’t really talk over the records. Obviously we’ll make announcements and things but essentially we just get on with playing great music, well. 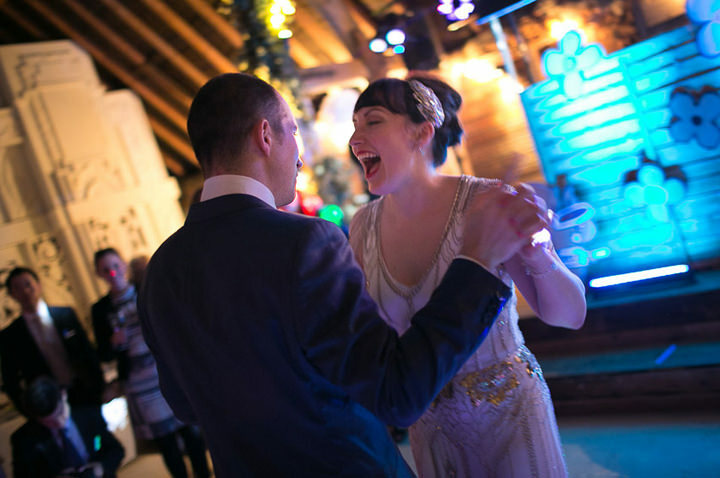 We can play all styles and genres, and always aim to work with couples to get an idea of the music they’re into (and not into!). So, we’re happy to have as much or as little input from couples as they want to give us – it’s their day and we’ll play whatever they want! That said, we’re lucky enough to enjoy a great reputation and so are often booked by couples and just trusted to play what we like. 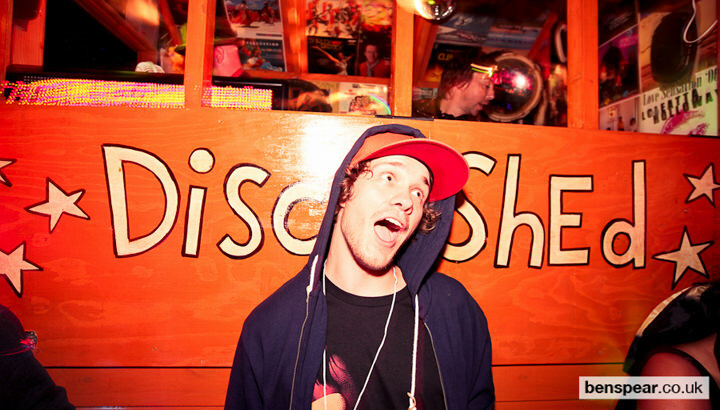 And if left to our own devices, we’ll craft a set of cool, credible party classics from across the board that everyone knows and loves, just isn’t sick to the back teeth of hearing. It’s a fine line to tread but I think we tread it well! Hmmm, that’s a toughie! I guess the fact that not only are we still going but we’re flourishing and growing fast feels like a great achievement, especially given the state of the economy. But people seem to really like what we do, we get loads of repeat bookings and we’ve had some amazing feedback – I get pretty choked reading back over our testimonials! We’ve done some pretty cool gigs in some pretty cool places for some pretty cool people – picking one out wouldn’t be fair. 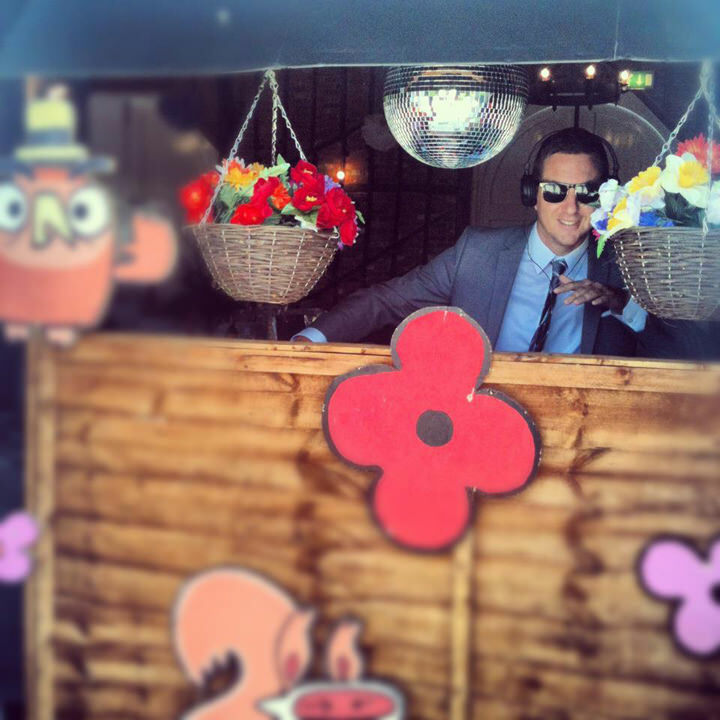 Well, firstly there are the obvious differences – I don’t think many wedding DJs give you the option of them playing outdoors (or in!) 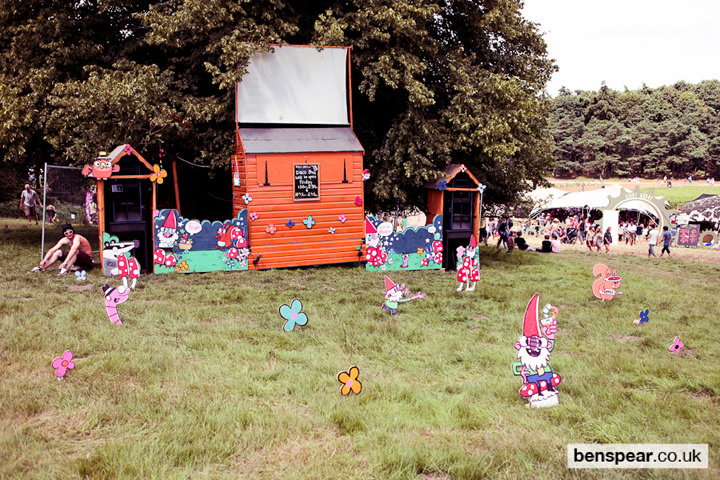 from a mobile shed on wheels with games, gnomes, visuals and a light show! Beyond our unusual set-up options though, the fact we take a contemporary approach to DJing also sets us apart from many other DJs. By that we mean seamless mixing and no corny chat – we think there’s no bigger party killer than the old fashioned ‘personality’ style jock who plays terrible music in a random order and makes awful, pointless jokes over the microphone all night. 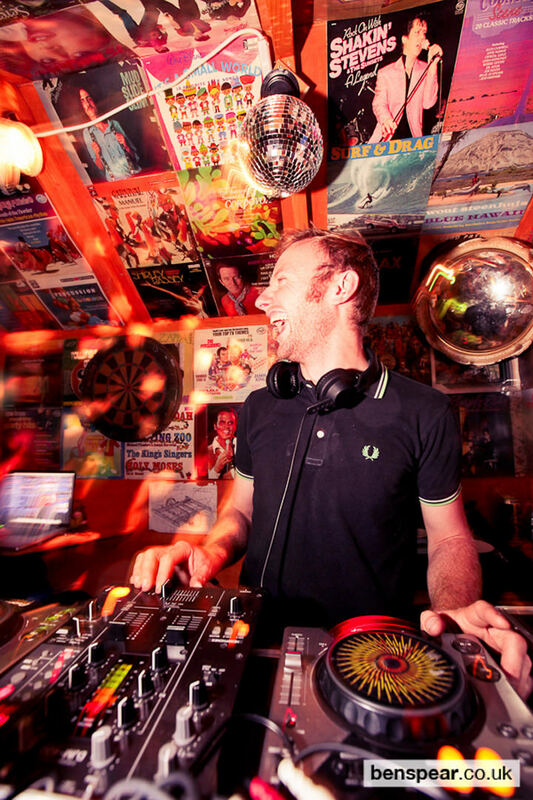 Plus we’re pretty old-school, in that we still play vinyl and CDs, and don’t just turn up with a laptop on show playing low bit-rate mp3s and looking like we’re checking Facebook all night! We also don’t go on about our equipment (which is all industry standard, but we believe that as great as your equipment is, it’ll be a rubbish party if you’re playing bad music!) 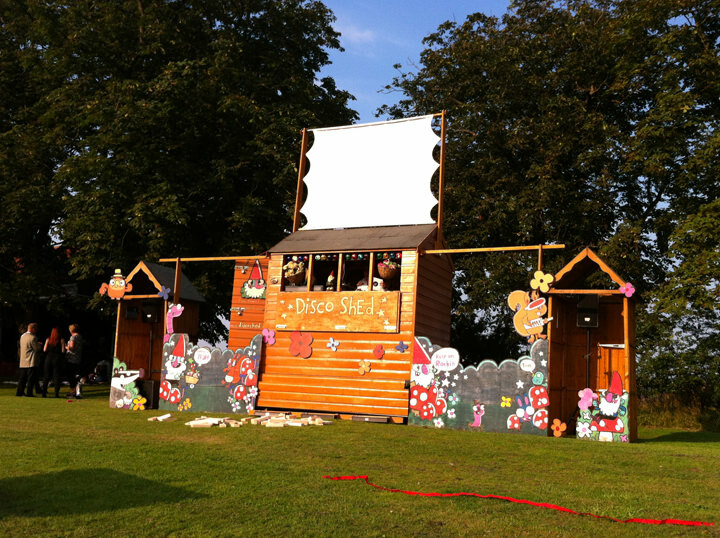 though we do take great pride in our presentation, avoiding any tacky clichés like star cloths and over-the-top lighting. 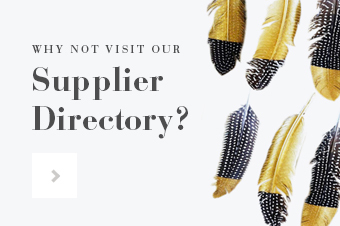 Instead of showing off all our equipment, we aim to make your venue look as stunning and try to make our stuff fit in there as discreetly as possible. Most of all, we aim to provide a relaxed, fun and friendly service and put the couple and their guests at the heart of everything we do. Whilst I never set out to be a wedding DJ, and I’d probably have been mortified had I known I’d become one when I started DJing – I really enjoy it now! I’ve played in front of thousands of people at festivals and don’t think anything of it, but I actually get really nervous before playing at a wedding, there’s an enormous amount of pressure which goes with it. 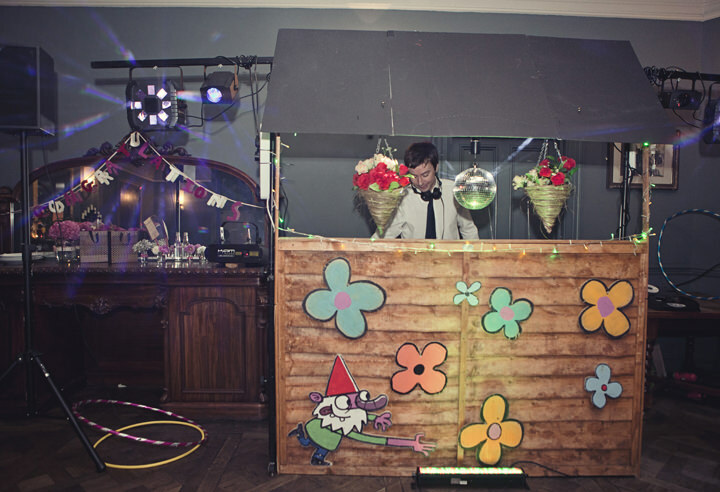 I truly believe that being a good wedding DJ is one of the hardest jobs of the whole day – you’re responsible for about a third of the whole day, and the bit people remember. 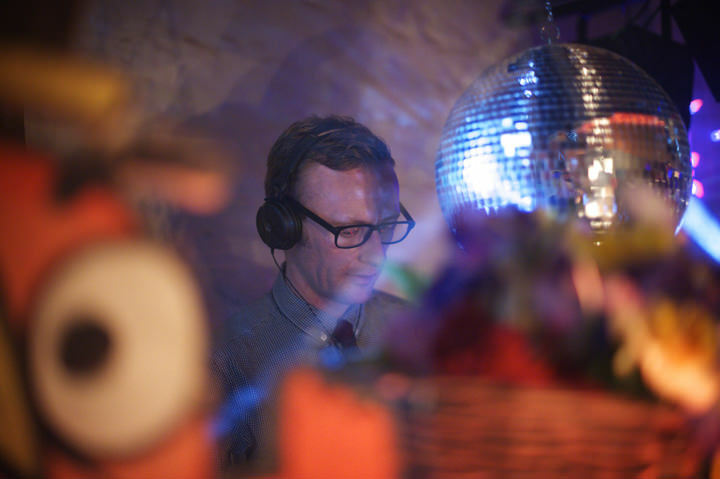 Even being a bad wedding DJ is hard work! But with this extra pressure comes a greater sense to satisfaction too and at the end of a good wedding, there are fewer better feelings than knowing you’ve helped people celebrate the biggest day of their lives by giving them a brilliant party to end it with! 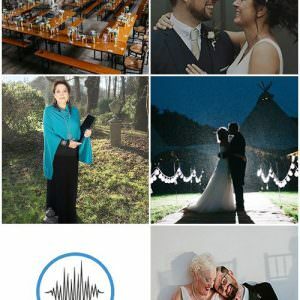 Well, because of our background in festivals, we tend to be especially popular with couples who genuinely love music – which sounds daft, but it’s true that not everyone does! 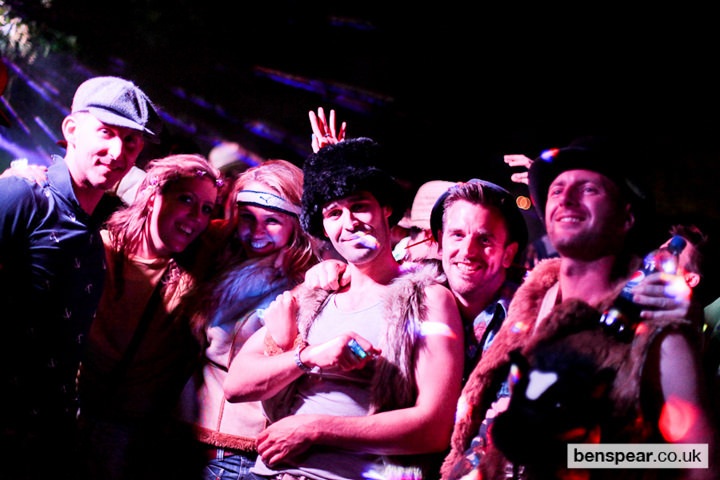 And it does seem that festival-going types definitely seem to enjoy our style. 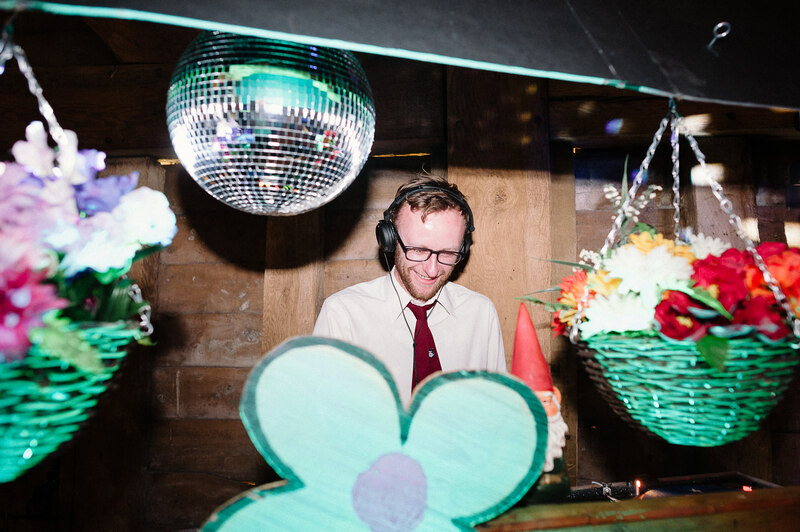 We do play for people who are concerned with keeping to a strict schedule and trying to ensure the day is exactly as they have planned it, which is fine and understandable, but generally the more laid-back, easy going and fun-loving the couple, the more natural the fit with Disco Wed! Well I guess it would be nice to go somewhere exotic and spend days either side relaxing on the beach! I don’t think I really have an ideal wedding in mind – but I do know the weddings I enjoy most are where the couple and their guests just want to have a good time, are open-minded and willing to put their trust in you as a professional to entertain them even if that means dancing to songs they maybe don’t know all the words to, or maybe haven’t even heard before! As a DJ trying to entertain people this makes your job all the easier and generally means a better night for everyone! Sure! 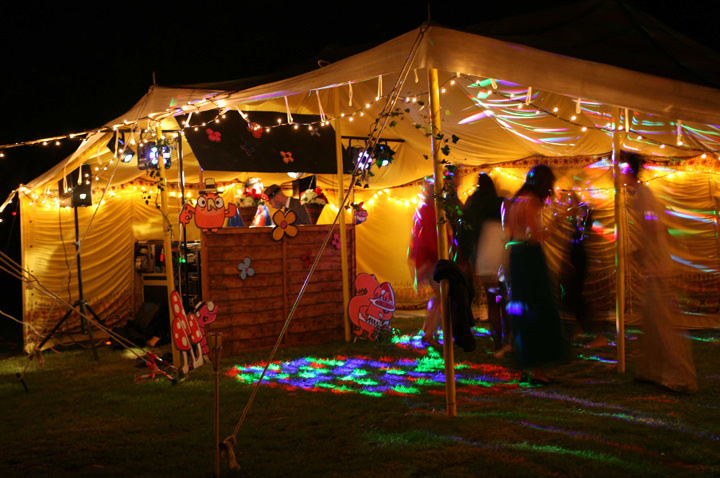 We have three main options – the Disco Shed; indoor Disco Shed, or our DJ only option. For each of these just charge one completely all inclusive price which covers our travel, all DJ, sound and light equipment, and our time for the whole day – we don’t charge per hour or put a limit on our time at all. 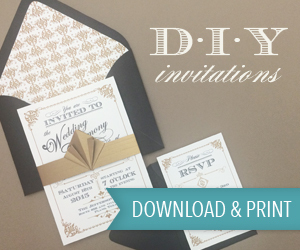 So we can set up before the ceremony or meal and play background music during either (or both! ), and our wireless microphone can be used for the speeches as well. 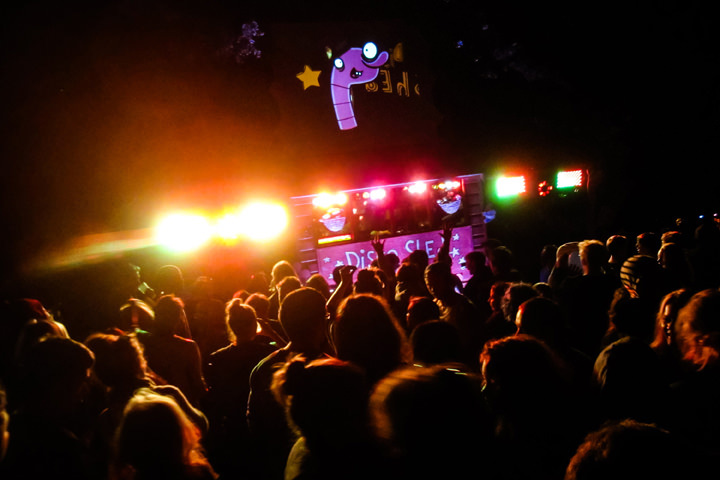 Then we’ll DJ for as long as you like at night, though if we end up playing past 1am we ask for somewhere to sleep – floor space is fine! 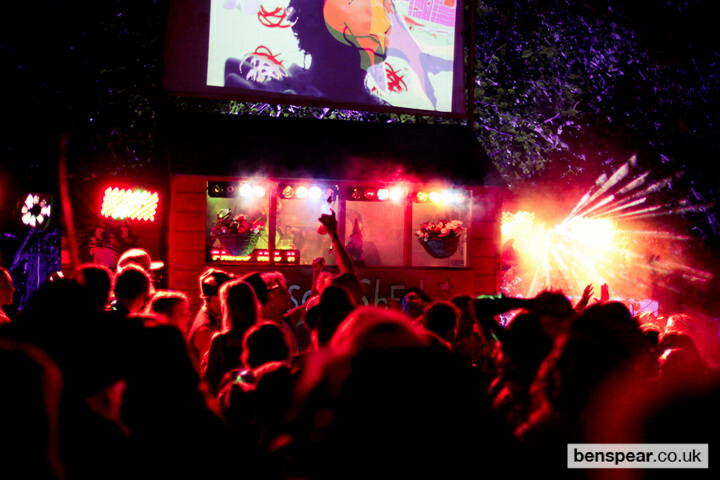 We can also add on visuals and our festival-going lightshow to our indoor options for an extra charge. A full price list is available to download from our website. Well running a business means it’s hard to get a proper day off, especially when you’re working all weekend! I like to unwind in the pub with loads of good friends. Or reading a good book and listening to some good, probably slightly weird, music! 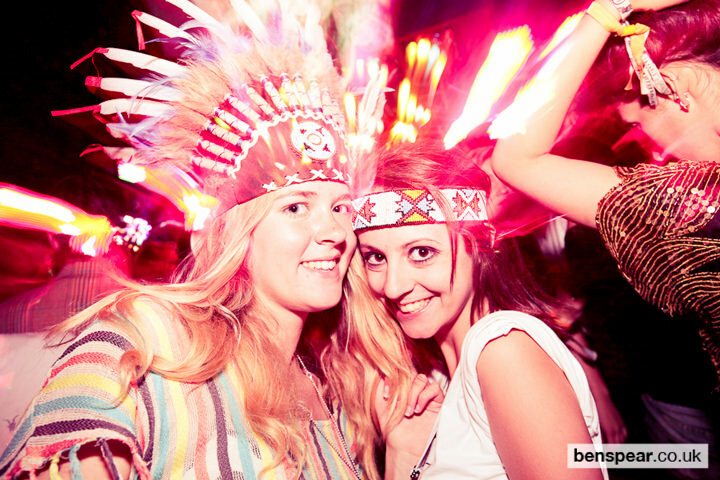 I don’t get to go out clubbing much these days but I’d definitely like to go and dance to someone else playing music! And if it’s a Saturday then getting to watch Match of the Day feels like a real treat (unless Villa have lost, again…)! Wow! As it’s dinner, I think I’d just like to meet some of my old relatives and find out where I came from – I don’t know a great deal about my family history. That’s a boring navel-gazing answer isn’t it? Pay off my debts, invest in loads of top spec equipment, buy an amazing van and car and a nice house or two, put a bit aside for a rainy day and give the rest away to things and people that need it. This is a sponsored post, but I really love these guys and hand on heart think they are great! 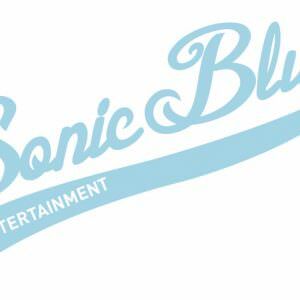 Boho Loves: Sonic Blue Entertainment AND 10% Discount On Bookings Confirmed Before 31st October 2013. Nice music means great entertainment and that’s the way to celebrate. 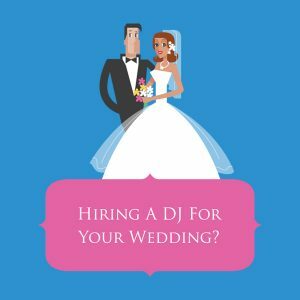 Wedding receptions will become more memorable if you will be able to find a DJ who can leave no room for dull moments on your special day. Wow, that’s so unique and the option to set up outdoors is great. What a great looking event! it seems like you all had a great time, and amazing photos. Great photos, looks very colourful and exciting! Thanks for sharing this!